An ambulance trust nurse who admitted making errors of judgement like, he said, 'most clinicians in a knife-edge occupation’ has been struck off the register. 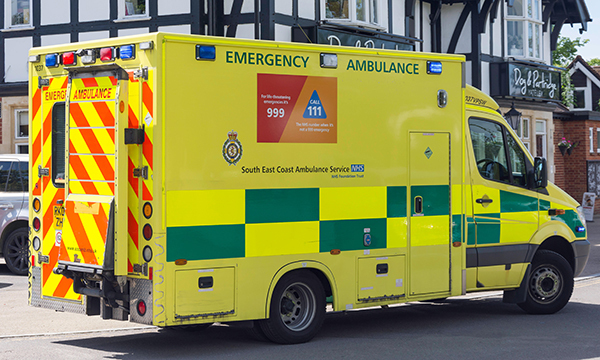 Clinical nurse supervisor Peter Hammond admitted repeated mistakes while taking calls for South East Coast Ambulance Service NHS Foundation Trust, including sending an ambulance to the wrong address. The nurse, who has more than 40 years' experience, told the Nursing and Midwifery Council (NMC) in an email: 'I have made mistakes and most ambulance service clinicians… will admit to having made errors of judgement in a knife-edge occupation. The incidents, which took place in 2014 and 2015, included failure to ask whether a patient’s slurred speech was normal, using a leading question and failing to escalate a call. He did not select ‘severe pain’ as an option in his online system, despite being told a patient was rocking on her hands and knees in pain. Mr Hammond recorded ‘no’ to the question, ‘Is there any pain going to the arm, neck or jaw?’ despite the patient's answer being ‘Yes, I’ve got pains all over my body now’. He was due to attend an NMC fitness to practise hearing in January on a review of a six-month suspension order. However, Mr Hammond told the regulator he was 'completely done with nursing' and no longer wanted to be involved with the process. In his absence, the NMC found the shortcomings in Mr Hammond’s practice were ‘wide-ranging, serious, and would have caused harm to patients’. Mr Hammond, who had been suspended for two years, had not taken any steps to correct his failings. The panel concluded a striking-off order was the only appropriate sanction to protect the public.